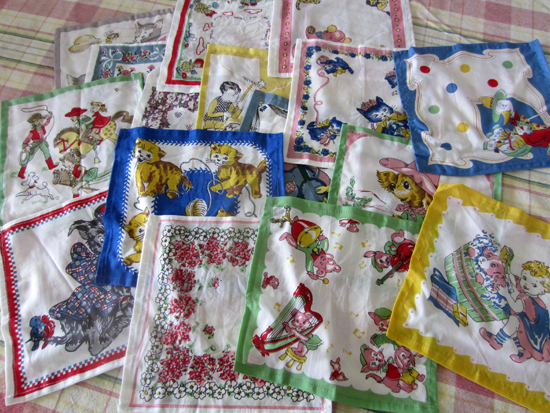 Set of 16 vintage inspired hankies. Each measures about 8.5" square. Comes in a cute little gift box tied with a bow!